If you or someone you love is living with dementia you may feel that holidays are no longer an option. Perhaps, traditional models of respite that separate families don’t appeal to you. We may have the answer. We offer small group, supported holidays for people with dementia and their partners, family, friends or carers to enjoy together. 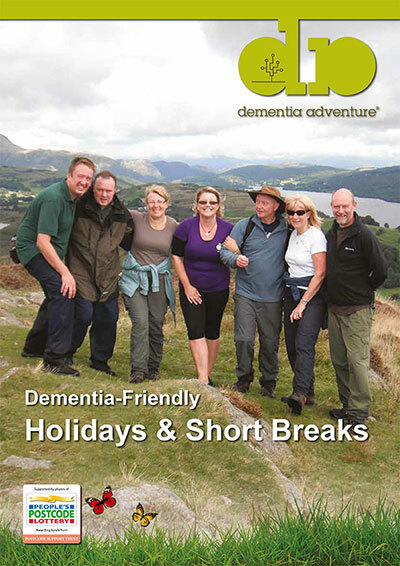 Our holidays are subsidised through fundraising to enable as many people living with dementia to benefit as possible. Our trained team and expertly planned itineraries mean you can have the holiday you have been hoping for. Whether you want to relax by the coast or walk up mountains, we have something for everyone—please take a look at our holidays for 2019. We welcome people with all types of dementia and can arrange personal care if necessary. If a small group holiday is not your thing, perhaps you might like a bespoke holiday? Ideal for groups of friends or families who want to travel together—please contact us for more information. Our holidays get booked up fast, to avoid disappointment PLEASE BOOK EARLY. Deposits are £100. Full payment is required two months before the holiday. People living with dementia can often feel that things like holidays and travel are no longer available to them, but we specialise in creating small group holidays for people living with dementia, their partners, family, friends or carer to enjoy together. We don’t want money to be a reason for people not to have a holiday. As a charity we work hard to raise money so we can reduce the cost of our holidays. We offer a significant subsidy on all our holidays. The reduced price makes holidays more accessible to our clients and enables more people to benefit from a holiday. If you would like to have more than one holiday in a calendar year, this is possible at an increased rate. There are other ways to access funds to make your holiday happen, especially if you are on a means tested benefit. Read our guide to financial assistance for more information. 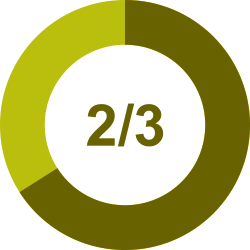 2/3 of the cost of our holidays are paid for by donations. You pay for the holiday and we pay for the support needed to make it happen.